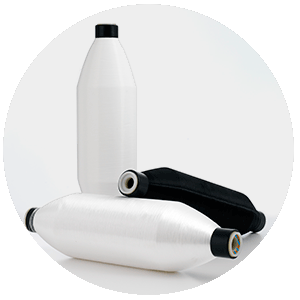 A mass dyed nylon fiber that considerably reduces the undesirable spills from fabric finishing and dyeing thus helps to maintain a clean and safe environment. COLOURED is available on black and white colours. Other colours available upon request. NUREL adds colourants directly to the polyamide polymer during the spinning process; colour is distributed in a homogeneous way and remains unalterable during the garment lifetime. Fabrics made of COLOURED yarn, do not require any dyieing process and so save energy and reduce the use of chemical products harmful for the environment.